Kombucha is a slightly effervescent fermented probiotic tea. Ok, What the Heck is Kombucha? On my quest for wellness and better health (specifically gut health), I started drinking kombucha before it became trendy and taking up prime real estate in grocery stores. I remember my coworker and I would have kombucha happy hour. I was working in New York at the time. We would go to Duane Reade and ask the same questions! There are so many flavors, how the heck do we choose one? Do we even know what we are drinking? And is it actually really good for us? We thought it was delicious, low in sugar, was bubbly, and it made us feel good. It was not until recently that I discovered Kombucha is actually a food and should not be looked at as a refreshing beverage or supplement. If Kombucha sounds foreign to you, then perhaps probiotics are more recognizable? Kombucha is fermented tea — naturally rich in probiotics and healthy organic acids. Perhaps you’ve heard of superstar strains Lactobacillus or Bifidobacterium? They are found in probiotic supplements and in fermented foods like yogurt, kefir, kombucha, and sauerkraut. These strains of beneficial bacteria find a home in the gut. They help the body absorb nutrients, break down food, and ward off infection. Fun fact: there are more bacteria in the gut than there are cells in your body! When everything is functioning properly, the good bacteria in your gut overtakes the bad, creating enzymes that destroy bad bacteria, yeast, and other enzymes. Before modern agriculture, antibiotics and chlorinated water, our bodies had no trouble producing the bacteria we needed. Now our digestive tracts could use a little help. That is why it’s important to intentionally add probiotics to your routine and kombucha is a great way to do that! With so many kombucha brands out there, how can you possibly choose one? Some have bolder, pricklier, more sour fermented tastes going on and others are tangy and sweeter making them easier to drink. Katie Kravitz, founder of Kanoa Kombucha now sold at MOYO, creates this magic in her own home. Her specialty is small brewed batches and innovative flavors. 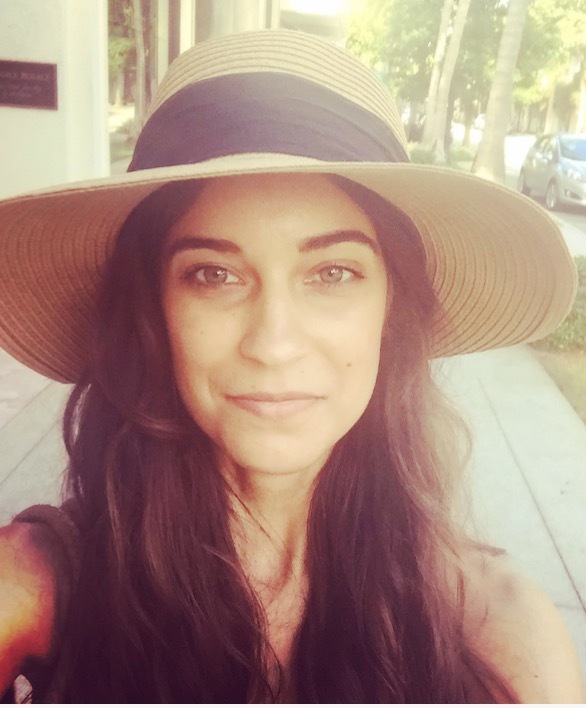 I had the opportunity to interview her to gain more insight into what kombucha is, what inspired her, and what’s next for the Kanoa brand. KK: My name is Katie Kravitz from East Greenville, PA, and I’m the founder of Kanoa Kombucha. I live a holistic lifestyle to improve my body, mind, and soul. That’s how I got into brewing kombucha. I wanted to better my body from the inside out. AK: How did you come up with the name and logo? KK: Kanoa is a Hawaiian word that means “the free one.” I wanted the name to reflect me as a person. The people who know me best always say I’m a free spirit. Radiating good energy, and keeping a positive attitude are some of the best ways to live life. The logo, made up of two mushrooms that make one K, plays off of the double K’s in the brand name and also in my own name. AK: How would you describe Kombucha to someone who has never heard about it? Kombucha is sometimes referred to as mushroom tea, but don’t worry if you don’t like mushrooms! It is not made with or of them. The yeast in kombucha, though, does belong to the kingdom of organisms called fungus. Kombucha is made from a symbiotic culture of bacteria and yeast (SCOBY). Yeast is a fungus, but an amazing balance is achieved within this beverage across many kingdoms: animal, plant, fungus and bacteria. The fact that you’re drinking a living culture makes it animal. The tea is the plant. And the SCOBY makes up the fungus and bacteria. AK: Why should we drink kombucha? What are the health benefits? KK: Kombucha is a slightly effervescent fermented probiotic tea. It has amazing health benefits. Benefits include digestive, joint and immune support, detoxification, and much more. So drinking kombucha benefits your overall health! AK: A lot of people think kombucha comes from a mushroom, but where does it actually come from? KK: Kombucha is made by taking the SCOBY, brewing it in either a green or black tea, adding sugar, and letting it sit and ferment. The sugar helps spark the yeast, which creates CO2, and this is how you get a fizz! This process is called the first fermentation. It is absolutely fine to drink this way, but the second fermentation process is where the fun comes in— flavoring! This is where I have the most creativity—and the most secrets. After you finish the second fermentation and get the flavors you want, the kombucha gets bottled and then refrigerated to stop the fermentation process. AK: What makes Kanoa Komucha different from other brands out there? KK: Kanoa Kombucha is different from other brands because it’s locally brewed in small batches, making it the freshest kombucha around! This means it’s some of the best you can find because it tastes better in small batches. And I love to think I’m helping to better the health of my community. We use fresh organic ingredients in every batch, which means more probiotic goodness for your gut! These health benefits most likely can come with each bottle you drink. The more you drink the better, though it’s different for everyone. Kombucha, though recently gaining more popularity, actually dates back for thousands of years! I’m so glad to be continuing the tradition here in Pennsylvania. AK: What’s next in the flavor line up? KK: I will be playing around with fall flavors such as ginger apple and pumpkin spice and also a potent spicy one! 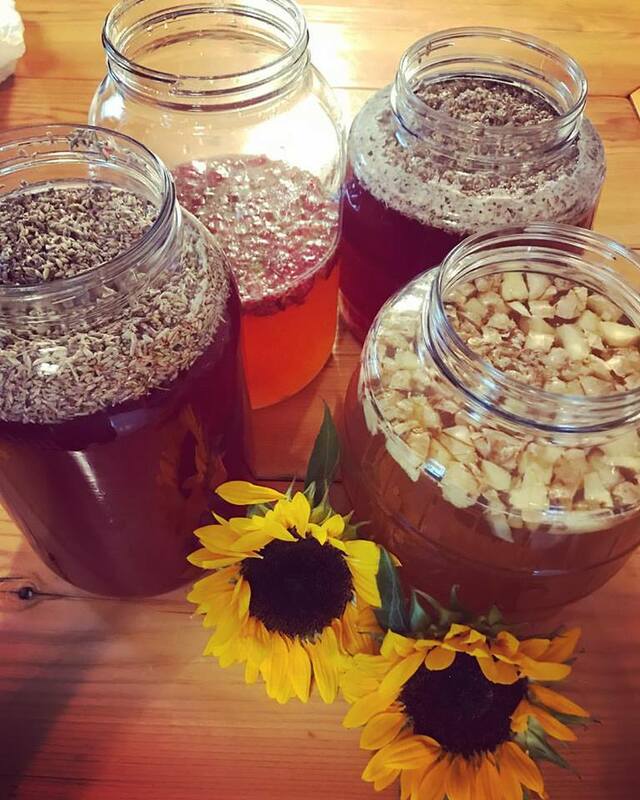 If you want to know more about Kanoa Kombucha and meet Katie in person then join us on September 30th! MOYO + Frecon’s Apple Harvest Family Fest takes place from 11am to 6pm. It’s double the awesome as we will have hard cider + kombucha for sale and to taste.